Tickets are sold out for this event. Please contact Emily Chambers at echambers@artbma.org if you would like to be added to the wait list. Doors open for seating at 2:45 p.m. Unclaimed tickets/open seats will be released to those on the waitust at 3:15 p.m. In conjunction with the closing of Front Room: Guerrilla Girls, hear from one of the legendary Guerrilla Girls artist-activists, Frida Kahlo, in conversation with Senior Curator of Contemporary Art Kristen Hileman. The conversation will reflect on the Guerrilla Girls’ legacy and the importance of the group’s work to expose sexism and racism in the art world, politics, and popular culture. It will consider the merits and challenges of anonymity as an intentional strategy for social change, and examine museums as sites for social and political discourse. Front Room: Guerrilla Girls and the Artist Conversation are generously sponsored by Virginia K. Adams, Sherry Christhilf, Suzanne F. Cohen, Nancy Dorman, Nupur Parekh Flynn, Sandra Levi Gerstung, Joanne Gold, Nancy Hackerman, Patricia Joseph, Madeline E. Lacovara, Jennifer O’Hara Martin, Amy Frenkil Meadows, Rachel Rabinowitz, and Clair Zamoiski Segal. Special thanks to Alpha Graphics. Selections from Guerrilla Girls’ Portfolio Compleat 1985–2012. The Baltimore Museum of Art: Women’s Committee Acquisitions Endowment for Contemporary Prints and Photographs, BMA 2015.47.1–95. © Guerrilla Girls. 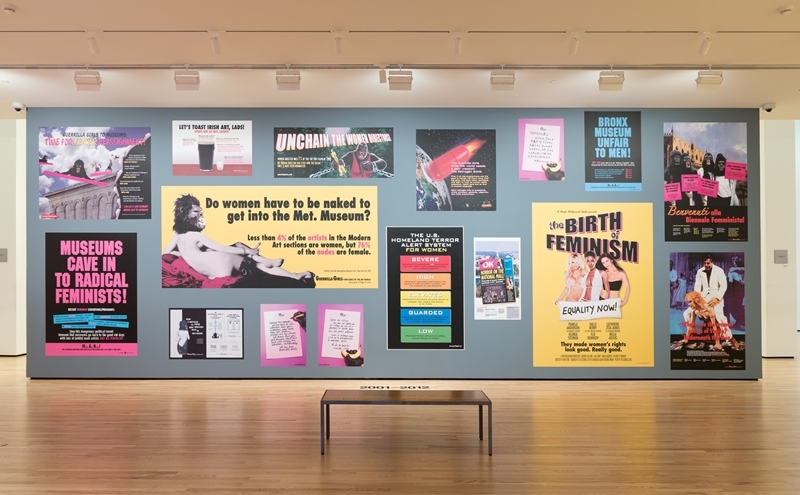 In conjunction with the closing of Front Room: Guerrilla Girls, hear from one of the legendary Guerrilla Girls artist-activists, Frida Kahlo, in conversation with Senior Curator of Contemporary Art Kristen Hileman.